Outreach workers are working in the community during the hours when, according to statistics, violence is more likely to be committed. 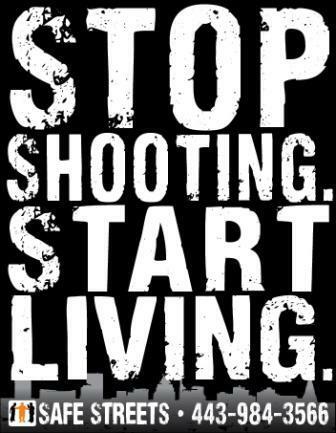 They canvass the area, getting to know the residents and the individuals that are at greatest risk of becoming a perpetrator or victim of shootings and killings. It is the worker's responsibility to stay informed of everything that is going on within the community. When a shooting happens, the Safe Streets site responds. Safe Streets sites partner with community members and local organizations to spread its message of nonviolence. 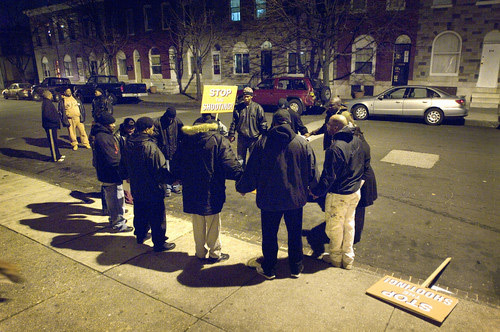 Within seventy-two (72) hours of a shooting, Safe Streets organizes a community activity to call attention to the shootings and killings and to urge community members to join with others in speaking out against violence. Some examples of these activities, or "responses," are peace marches, midnight barbeques, vigils, and prayer sessions. Through these responses, Safe Streets reaches out to the community to try and prevent retaliation or further violence. The Safe Streets initiative is currently operating in four sites: McElderry Park, Cherry Hill, Mondawmin, and Park Heights.